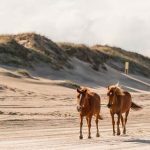 The eternal Sunshine State, so appropriately named, has consistently been a go-to destination for families and resort-goers alike, and for good reason. 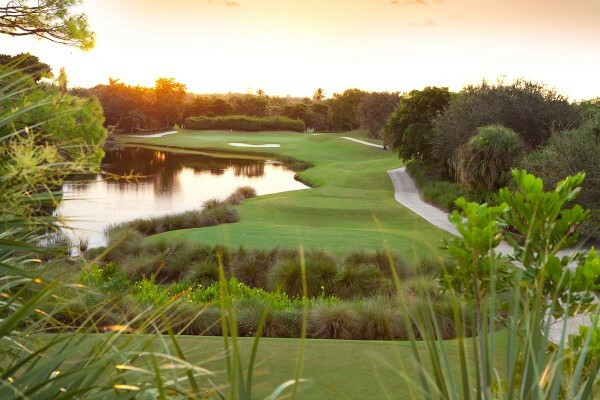 Florida’s glimmering gilded coastline boasts golden white sand beaches, sparkling blue waters and premier golfing and dining. 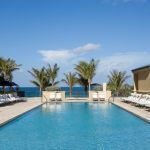 While many travelers gravitate towards the lively city of Miami and other splashier nearby hot spots like Palm Beach, Naples is a town often overshadowed. A perfect combination of a vibrant and sophisticated downtown coupled with a calm expanse of the Gulf of Mexico, Naples is the perfect paradise for world-class shopaholics, nature lovers, and beach aficionados. 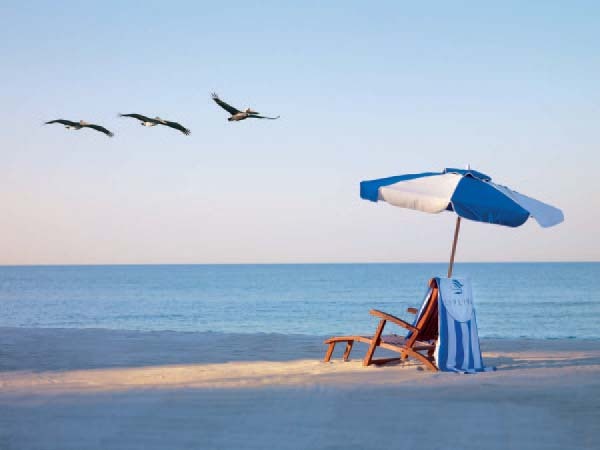 Nestled on one of these sun drenched Gulf of Mexico beaches, La Playa Beach and Golf Resort is everything you would expect from a classic Floridian property – affluent in beauty, simple yet stylishly elegant with supreme service, and impeccable grounds. This upscale, Caribbean-influenced beachfront resort is sprawled across 64 magnificent acres, dotted with coconut palms, tiki torches, and lush greenery reminding guests it indeed borders the wilderness of the South Florida Everglades. Upon entering, the sunny lobby welcomes you into its friendly open space, decorated in muted earthy hues accented with splashes of color and leafy green floral wallpaper. The British Colonial- style furnishings with crimson and gold textiles add an element of sophistication while the elegant glistening chandelier completes the room. 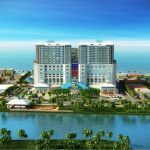 The accommodations at La Playa are as equally impressive, located in the Beach House and towering Bay View and Gulf Towers. 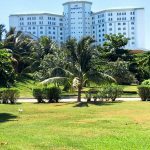 No matter what room you end up with, rest assured you will have a magnificent view since of its 189 units, of which 116 are beachfront with private balconies. The interiors are casual yet elegant with tropical foliage accents and colorful decor, as if inspired by the charm and beautiful colors of Naples architecture. The rooms and suites are comfortable and replete with modern amenities like Wi-Fi, LCD TV, and an open marble bath with a rain showerhead. Some rooms even have floor-to-ceiling glass windows and whirlpool Jacuzzi tubs looking out onto the Gulf of Mexico. Continue to relax on your room balcony, enjoying the cool sea breeze and emerald water views, or gear up for some local activities and sightseeing. 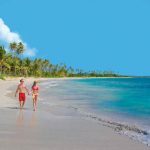 Whether seeking a romantic getaway, on a family vacation, or looking to perfect your game on the Bob Cupp-designed golf course, La Playa Resort offers options for every preference. 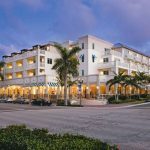 Visit the Waterside Shops, an outdoor shopping heaven in North Naples with designer boutiques like Gucci, Louis Vuitton, and other luxury stores. 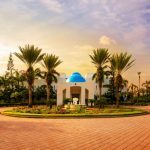 Or discover the nearby Conservancy of Southwest Florida, featuring guided boat tours, the Museum of Natural History, or for those looking to partake in some outdoor exploration, the nature trails and Wildlife Rehabilitation Center are a must. For ultimate relaxation, book an appointment at La Playa’s SpaTerre, a 4,500 square-foot Balinese-style oasis offering facials, massages, or a full afternoon of beauty treatments. 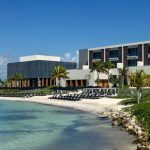 Afterwards, laze in one of their four lagoon-style pools or soak up some sun at their private beach while being tended to by beach butlers. 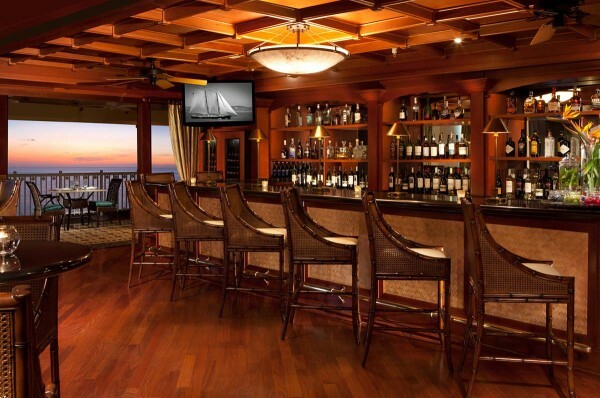 Later, the evening begins at Baleen Naples’ bar with a selection of refreshing cocktails while you await your fine-dining experience at this highly acclaimed restaurant. A whimsical monkey motif sets a lighthearted mood and achieves a balance between polished formality and fun. 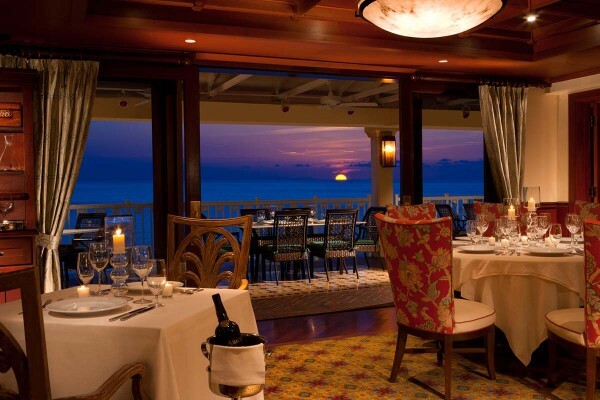 Dinner can be served inside or outside, enjoying the spectacular views from the terrace or on the beach by fire pit. Regardless of your table’s location, you will appreciate Baleen’s carefully planned menu and artfully executed dishes that prove its cuisine is an epicurean delight.